At the 2011 indoor Rock around the jukebox show, Henk de Jager had a booth. 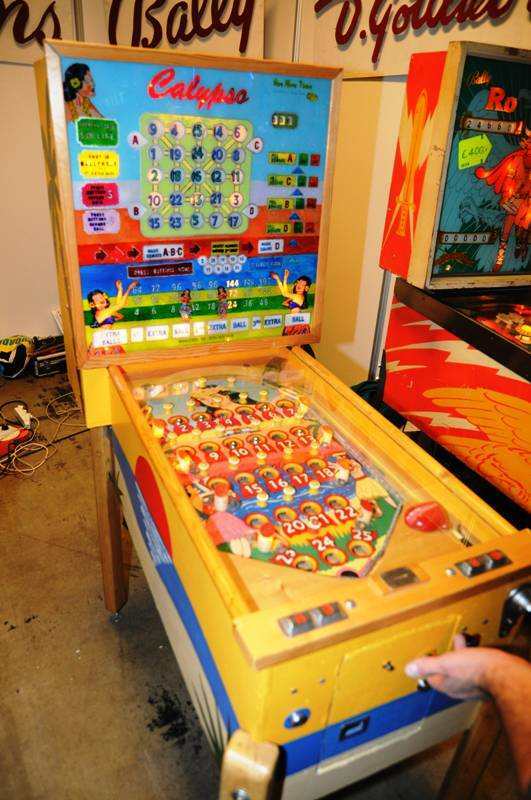 Not only did he have some pinball machines for sale, but he also presented his latest creation: a custom made electro-mechanical bingo machine. I know Henk now for many years already and knew a few years ago already he was working on a bingo machine. It's great news to see he finally completed this project, as he had started it about 10 years ago! 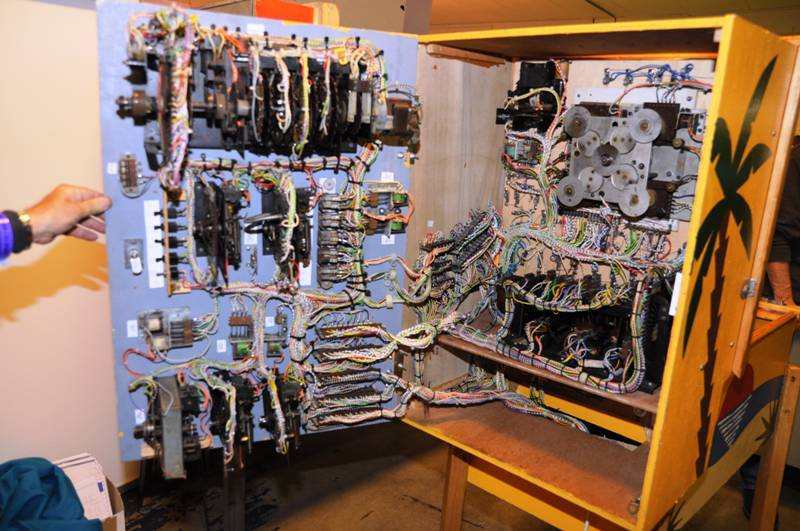 A view inside the backbox of this electro-mechanical bingo machine, showing its complexity. The schematics are double from those for a pinball machine.